50 year old man with left knee pain which worsens with activity. 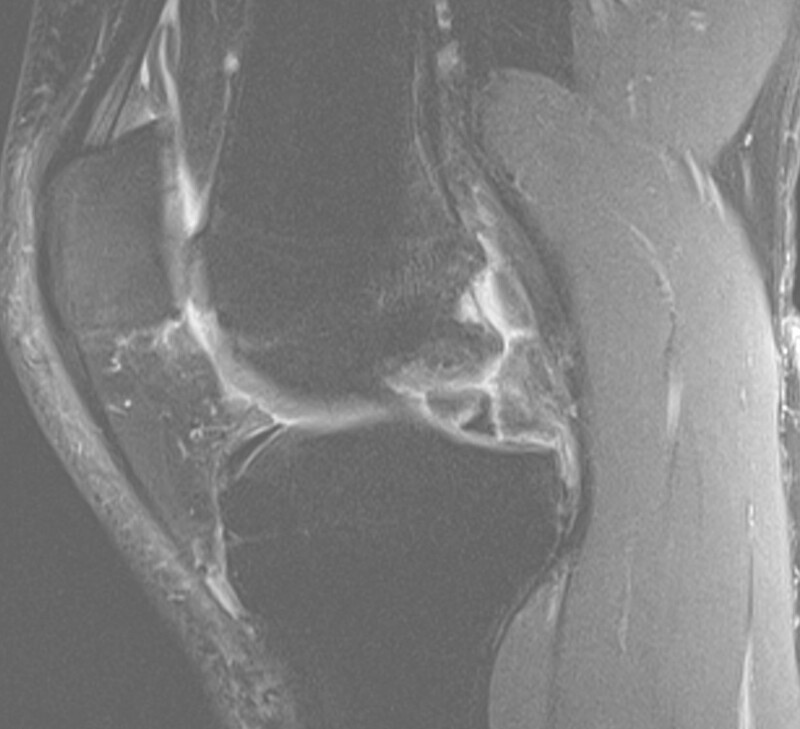 Radial tear with flipped meniscus. 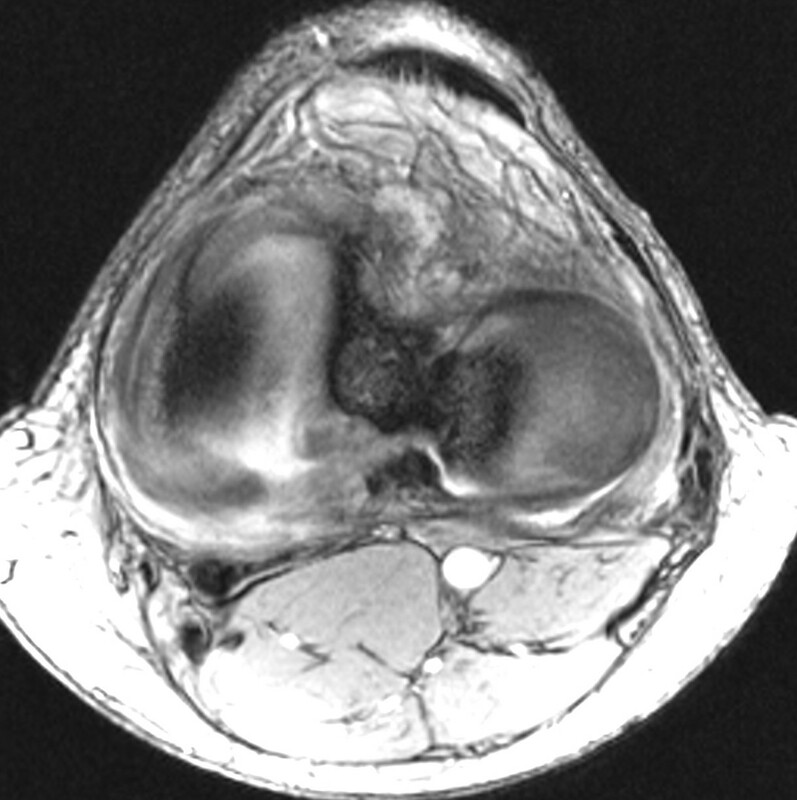 1.5 T (Siemens Verio) 15 channel knee coil; Image 1: Sagittal proton density turbo spin echo (TR/TE 4290/34 ms, slice thickness 3 mm, scan time 3 min 54 sec); Image 2: Coronal T2 turbo spin echo (TR/TE 5690/75 ms, slice thickness 3 mm, scan time 4 min 33 sec); Image 3: Axial GRE (TR/TE 50/23 ms, Echo 1 ms, slice thickness 2 mm, scan time 5 min 49 sec ). 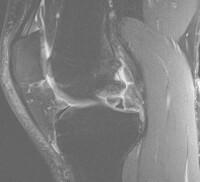 A complete radial tear is present in the posterior horn of the medial meniscus. 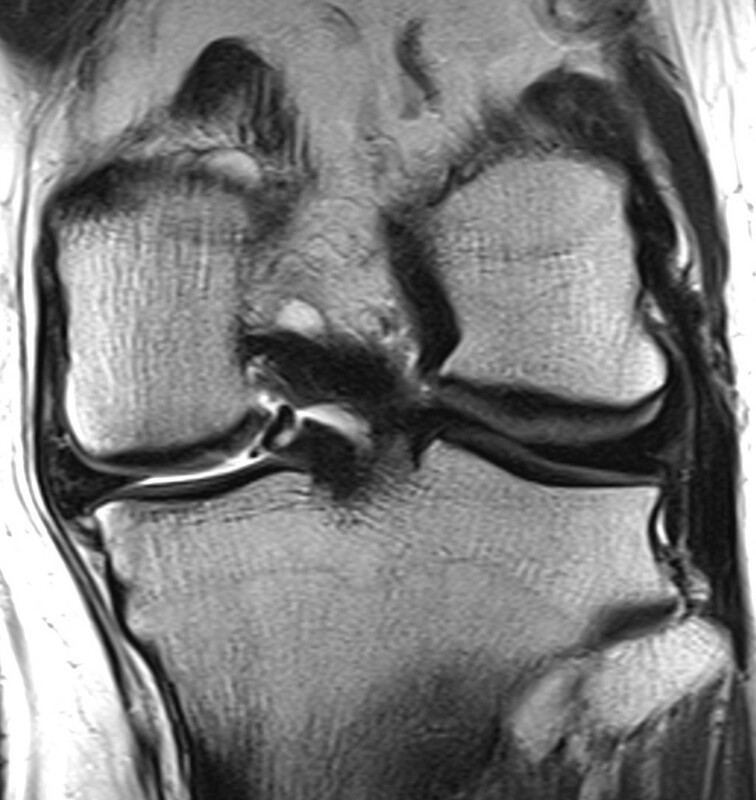 The meniscal fragment is attached to the posterior root and flipped anteriorly into the intercondylar notch.